The ART is a state-of-the-art, fixed, non-dispersive infrared refrigerant transmitter used to detect a wide range of refrigerant gases. It can be used as a stand alone system or integrated into a building management system (BMS). 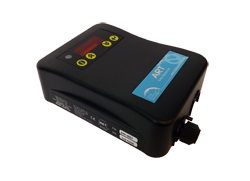 Available in two models - Broadband or Gas Specific - both with a fast-responding sensor that accurately detects refrigerant gas leaks without cross interference with other gases. 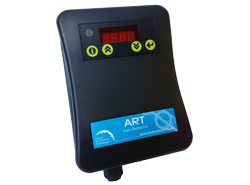 The Broadband sensor is available in four model groups (ART-B1, ART-B2, ART-B3 and ART-B4) and are used as a cost-effective, general purpose, gross leak detector and are factory tested and certified. If distinct gas detection is required, the Gas Specific model is available and is factory certified and calibrated to the target refrigerant.